Initially a mixed farm with crops including tobacco, the land has been in the family for seven generations. Jean-Pierre’s parents started cultivating vines in the 1970s, and passed it to Jean-Pierre in 1987. Organic farming with no use of chemicals. In the cellar, very little sulphur is used, and only when necessary. There is a precision and clarity to all the wines. 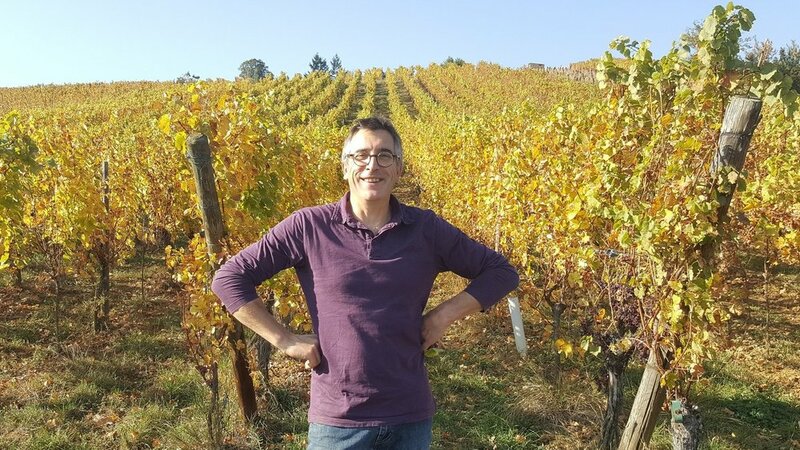 Having become bored with making late-harvest wines with aromatic varieties; Jean-Pierre is one of few in his area to experiment with skin-contact wines and has gained a reputation for these. The Rietsch estate has been in the family for seven generations and the land was previously used for tobacco and crops. It was Jean-Pierre’s parents who started cultivating vines in 1970s, and handed on to Jean-Pierre in 1987. Although Jean-Pierre is now retired, he still contributes to daily runnings and is assisted by Pierre-Etienne Grieshaber. Le Main Verte is another contributing company, and coordinate the manual work in the vineyards yet the domaine is still very much driven by a family-led culture. The vineyard is naturally cultivated, with terroir at the heart of the operation and no use of chemicals. Very little sulphur is used, and only when necessary. Wines are made with a low-pressure pneumatic press to extract gently, with a slow fermentation and indigenous yeasts. They are also one of the few wineries in the area to experiment with skin contact wines. A beautiful pink-orange color, resulting from the maceration of stalks and skins, this Pinot Gris offers a plant nose, which will evolve to notes of small red fruits once opened. The palate is peppered, at first warm and very fluid. The maceration of the stalks and skins gives the gewurztraminer a beautiful golden color, which develops complex aromas of geranium rosa, lemon, lychee and licorice. The palate is lively, saline, very fresh, very far from the standards of the grape variety. A blend of auxerrois, chardonnay and pinot gris from the 2015 and 2016 grape harvests. With its fine bubbles it is a great aperitif.